One day Farmer’s Interactive meet was conducted along with the tree plantation programme at the Laxmipura village, Malpura (Tehsil) on 14.08.2018. 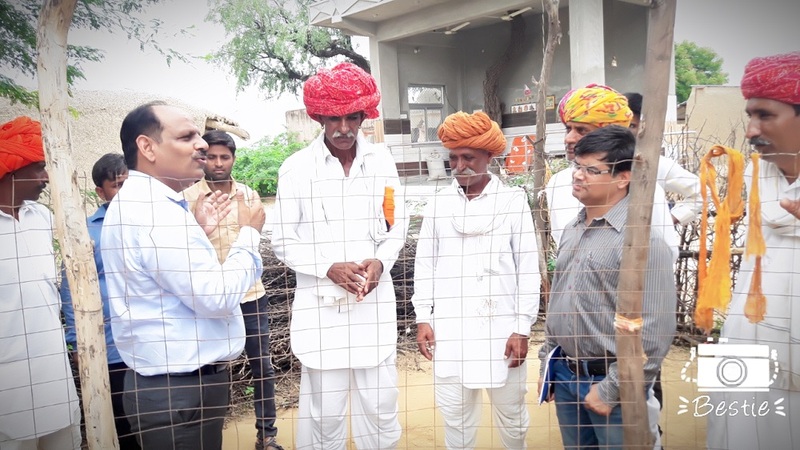 All the sheep breeders in the Laxmipura village are adopted under the mega sheep seep project – Malpura unit of CSWRI Avikanagar. Improved rams of Malpura sheep breed are supplied to the farmers registered under the project for further improvement of the field flocks. Data on all the production, reproduction and disease aspects are collected and analysed for research purpose. The selection process is assisted and the production performance is improved through continuous involvement at the field level. In the morning hours of 14.08.2018, a tree plantation programme was conducted at laxmipura village with involvement of sheep breeders’ adopted under Malpura (MSSP) project, CSWRI Avikanagar and local people. 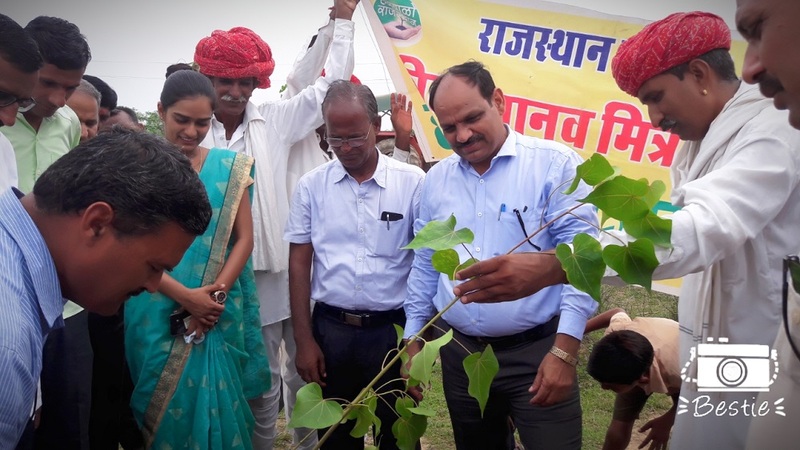 A total of 101 tree saplings of Neem, Khejri, etc, were planted in the presence of Director of the ICAR-Central Sheep & Wool Research Institute Avikanagar, Dr. Arun Kumar Tomar, along with the project team of Malpura project. Local administration including SDM and BDO were also present in the programme. Director CSWRI emphasised the impact of tree plantation for better environment and food safety. He also reiterated the ecological entanglement of the sheep, trees and humans and stressed the importance to conserve and maintain this relationship. Farmers and local administration joined hands in tree plantation and discussion on several topics related to sheep genetics, health, environment, education and development.